Varenicline is a partial agonist/antagonist that is selectively bound to the a4p2 nicotinic receptors, thus blocking nicotine from these brain cells, as well as stimulating them to release dopamine at lower levels than does nicotine itself. This leads to reduced cravings and fewer symptoms of nicotine withdrawal. A Cochrane review of its effectiveness concludes that it increases the odds of successful cessation two to three times more than attempts not using pharmacotherapy, with a pooled RR at 1 year compared to bupropion of 1.52 (Cahill et al., 2008). Varenicline is titrated over 1 week, mainly to help overcome its major side effect of nausea, ameliorated by taking varenicline with meals. Begin with 0.5 mg daily for 3 days, then 0.5 mg twice daily, then 1 mg twice daily on day 8, which is quit day for the patient. Treatment should continue for at least 12 weeks; an additional 12 weeks may be useful in patients who are insecure in their attempts and are at high risk for relapse. The longer dosing schedule was shown to increase success in clinical trials. Concern has been raised about varenicline and its potential to cause behavior changes and suicidal thoughts. In July 2009 the FDA issued a black-box warning for both varenicline and bupropion saying that patients taking either of these drugs should be observed for symptoms of behavior change, including hostility, aggression, depressed mood, and suicidal ideation or attempts. Patients should stop taking varenicline and contact their physician if these or other unusual neu-ropsychiatric symptoms occur. In addition, patients should take precautions when driving or operating machinery until they know whether varenicline might adversely affect them. Pilots, air traffic controllers, and persons with commercial motor vehicle licenses cannot use varenicline, according to federal rules issued in 2008. A cohort study of more than 80,000 persons using different medications for smoking cessation, however, found no clear evidence that varenicline caused suicide or depression (Gunnell et al., 2009). 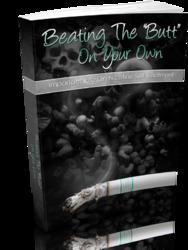 Early evidence shows that using varenicline in combination with the nicotine patch and with bupropion appears to be safe and well tolerated; however, more investigation is needed before these combinations become a mainstay of smoking-cessation therapy (Ebbert et al., 2009a, 2009b).